An ideal choice for family and friends, there are 3 bedrooms, 3.5 baths, and an open living room. Two bedrooms offer king beds, TVs, and private bathrooms. The master bedroom is also equipped with a luxurious steam shower and jetted tub. In the third bedroom there are two twin beds with trundles as well as a private bathroom, making this the perfect kids' escape. 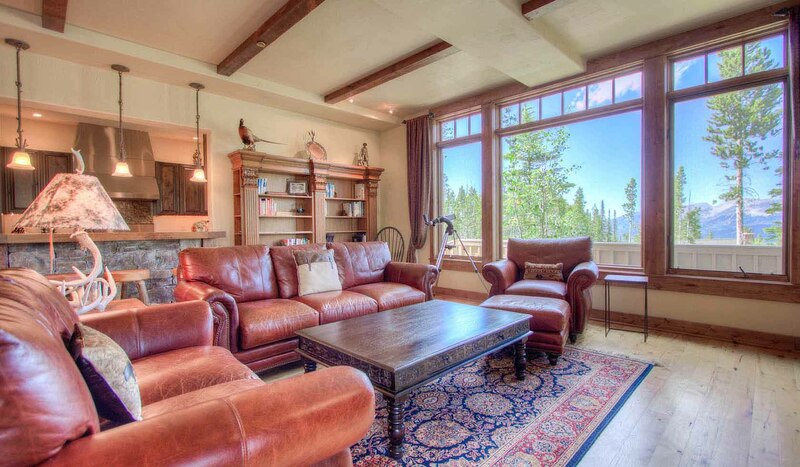 The gorgeous living room is appointed with a cozy wood burning fireplace. A private deck with a hot tub and gas burning fireplace will be your favorite place in which to spend time during your vacation. Take in the incredible mountain vistas while you relax in the tub for an amazing end to each day.